Indoor plants aren’t just a pretty face—in the realm of design accessories for one’s abode, they impart a range of impressive attributes that are sure to enhance and enrich your home. From purifying the air to removing toxins, there really isn’t a reason to avoid indoor plants within your dwelling. 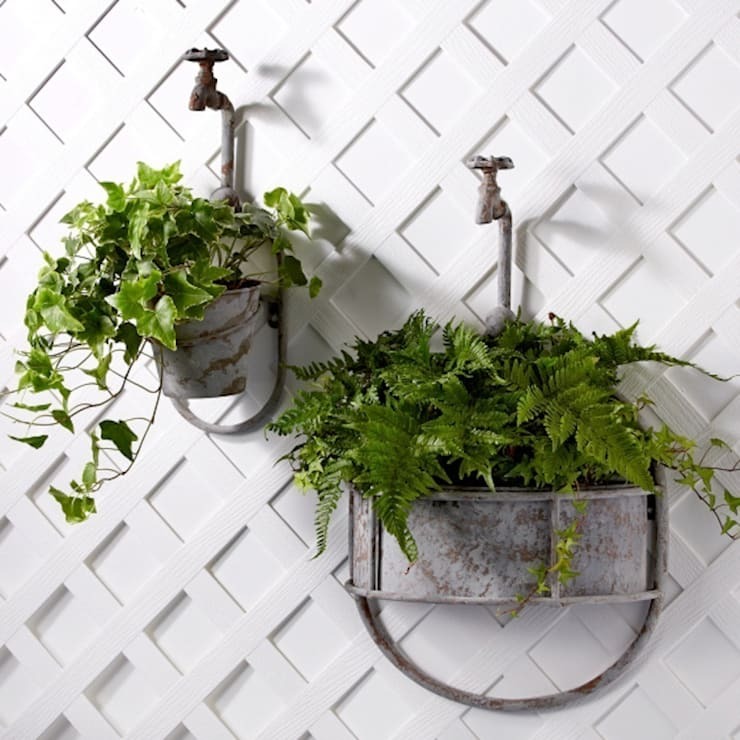 Today at homify we are going to take a look at 7 incredible indoor garden ideas. These spaces take foliage and greenery, transforming it into cohesive green spaces that you can enjoy within the confines of your residence. Whether your house or apartment is tiny or large, luxurious or austere, there is surely an interesting, and ambience-enhancing design to suit you. Check out the following images to learn more, and start planning your new indoor garden today! First up we take a peek inside a seriously impressive indoor garden. When implementing an indoor garden, ensure you choose your varieties correctly, and pick plants that can live under low light conditions. Palms work especially well, but chat to your local nursery worker to get the right advice. If a full-on palm arrangement is a bit much, let's start with the basics. It doesn't get much easier than implementing an indoor terrarium within your home, ensuring you still get that garden 'vibe' and ambience. 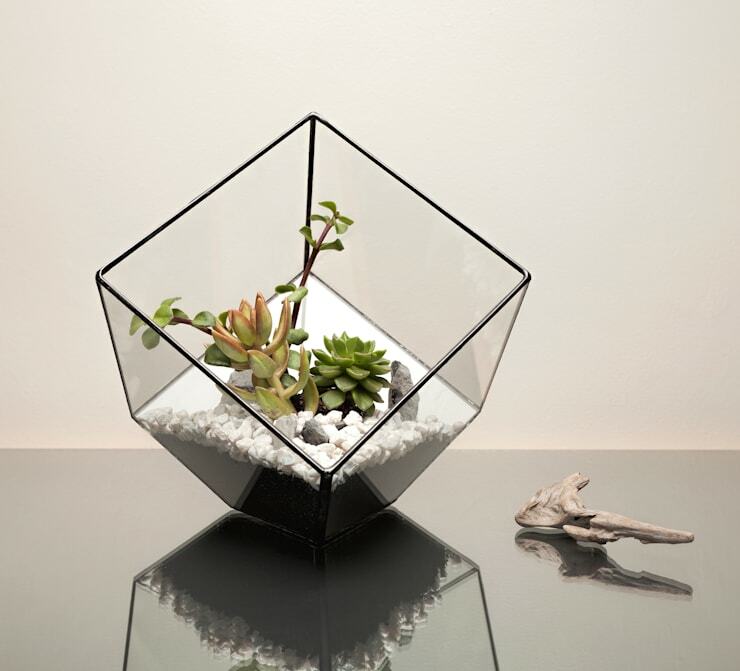 Terrariums are tremendously in-vogue, while their simplicity can help incorporate a sophisticated aesthetic. Take some cues from this neat example above, and add one, two, three or more terrariums into your home. Green walls increase the style of your home, while adding vital toxin-removing foliage that helps to purify and enhance your dwelling. Creating a green wall or vertical garden can often be a tricky task, and speaking to a professional often helps. 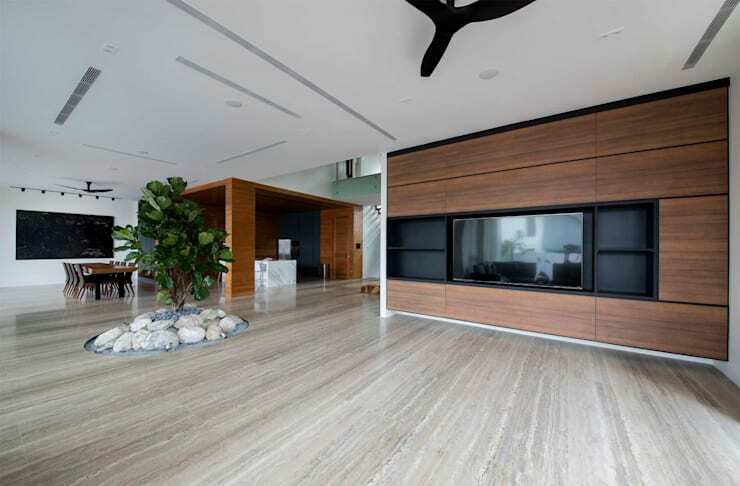 Find an expert via homify and begin planning your indoor feature today. 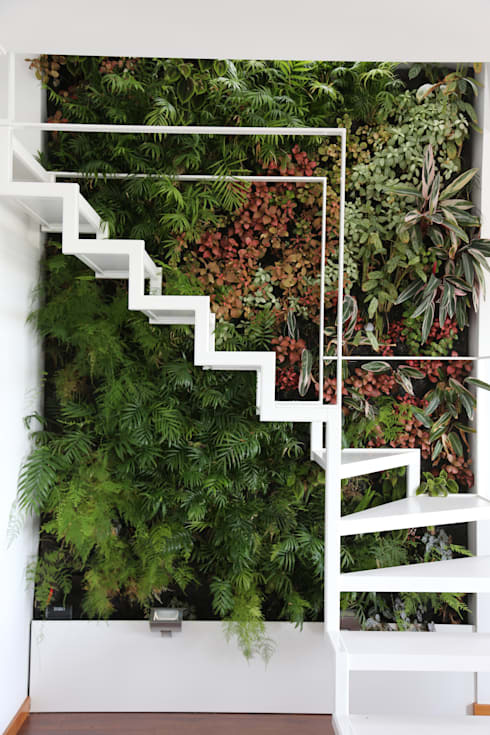 If creating an entire green wall doesn't take your fancy, you might want to look at a simpler and more obtainable option. Hanging plants on your wall can add colour and vibrancy to the space, while the range of planters and pots is seemingly endless. One of the easiest gardens to create indoors is a herb garden. You will need to look at the lighting in your space, and implement additional artificial sources if natural illumination is unavailable. 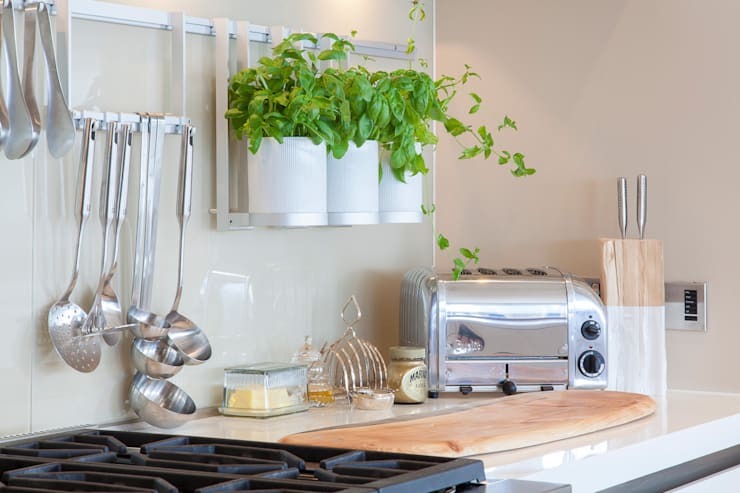 Your herbs can invigorate your interior, while offering a sense of life and deliciousness to your kitchen. We adore this interior garden and living room! 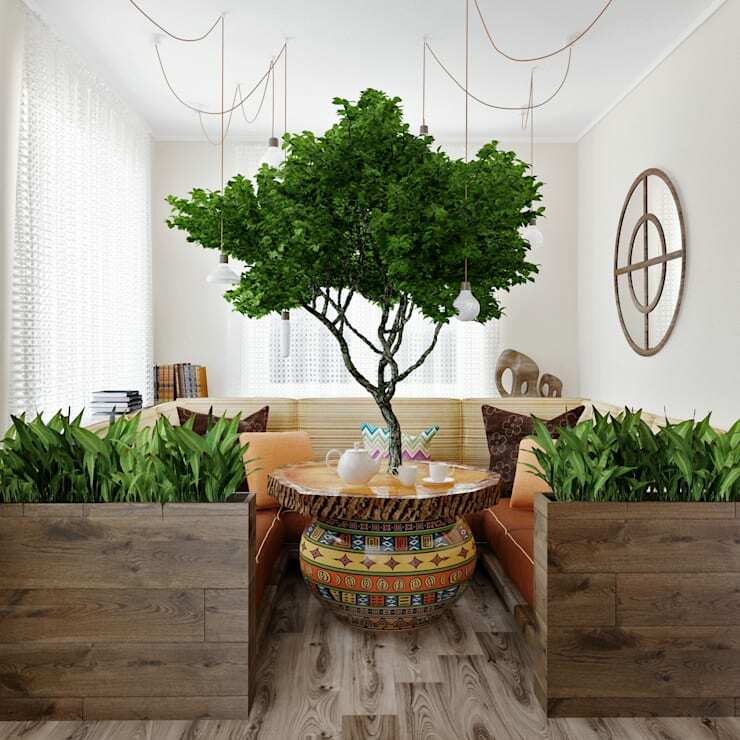 Replete with a central tree, set within a stylish standout table, this room is certainly not easily forgotten. The additional planters on either side of the sofas add a gateway of green foliage, which welcomes guests into a restful and serene space. 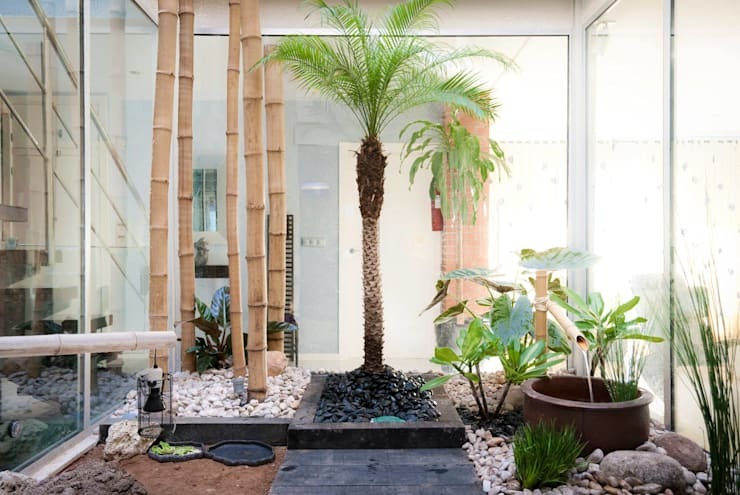 Finally we take a peek inside a Singapore home that has added and incorporated a central indoor tree and Zen-like garden space. The rocks have been utilised to delineate the garden, while the tree and green foliage work beautifully against the earthy hues of the dwelling. Do you have any indoor gardening tips for our homify readers?